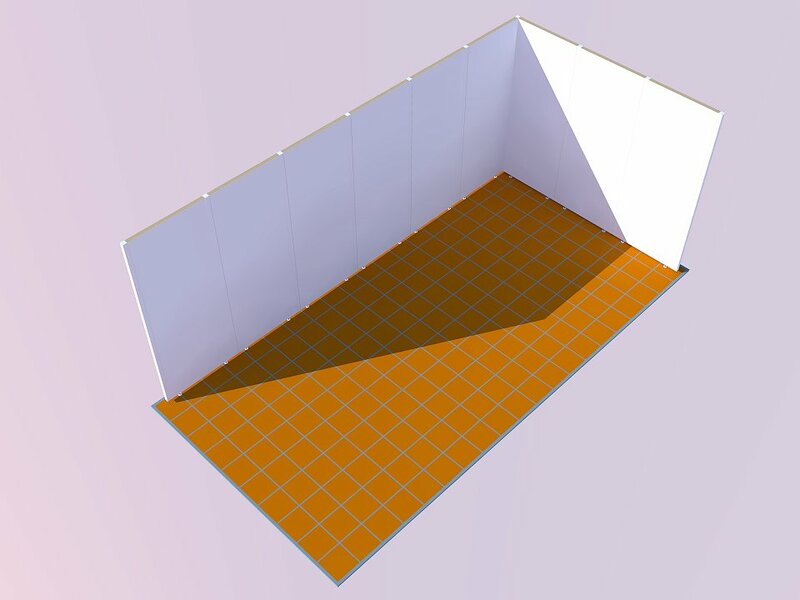 Here are our 10×20 trade show booths in your choice of side walls, and reusable crates and wiring and lighting packages. All 10×20 trade show booths come with free shipping in the continental USA. Allow 1 week for delivery. (Extra charge and delivery time may apply to outside the continental USA.) Comes with 10 year no fail guarantee. Our base 10x20L trade show booth is stocked and ready to ship. This complete booth comes with a back wall that is created using 6x 36-inch display panels with 7x I connector stiles, 1x L connector, 2x O end cap stiles, and 3x 36-inch display panels out front on one side. All display panels come with adjustable feet. This kit comes with a standard 1-time shipping crate. An additional lightweight and high-strength transport crate is available for an additional $600. This kit comes with a white high pressure laminate (HPL) finish and is priced at $11,115 without the additional transport crate and $12,675 with the extra transport crate. All kits come with free shipping. Our base 10x20KB trade show booth kit is stocked and ready to ship. This kit comes with a back wall consisting of 3x 36-inch display panels with 2x I connector stiles and 2 L connector stiles, with 2x 22-inch display panels out front. All display panels come with adjustable feet. This kit comes with a standard 1-time shipping crate. An additional lightweight, high-strength transport crate is available for an additional $600. This kit comes with a white HPL finish and is priced at $9,236 without the additional transport crate and $10,796 with the extra transport crate. All kits come with free shipping. The 10x20KD trade show kit is exactly like the 10x20KB kit, but features 2x 36-inch front display panels instead of 20-inch front panels. This kit is priced at $10,146 or $12,155 with the additional transport crate. All kits come with free shipping. 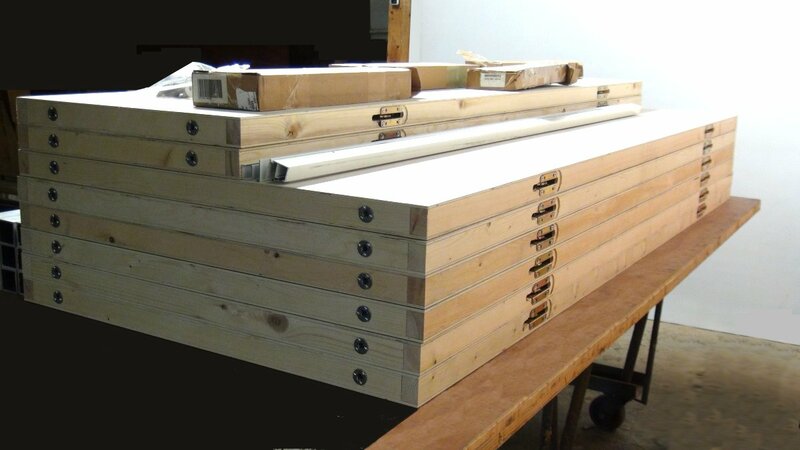 Our base 10x20KA trade show booth kit is stocked and ready to ship. This complete kit comes with a complete back wall made of 3x 36-inch display panels with 2x I connector stiles, 2x L connector stiles, and 2x 22-inch display panels out front. All display panels come with adjustable feet and electric/ cable channels. This kit includes an overhead beam with electric and cable channels, plus our standard lighting package. The electrical and cable channels are located on top of the panels and in the overhead beam for running power and/or additional lighting. This kit comes with a standard 1-time shipping crate. We offer an additional reusable, lightweight, high-strength transport crate to transport our kit to and from trade shows for an additional $1,200. This kit has a White Formica finish and is priced at $12,031 with no additional transport crate, or $13,591 with the transport crate. All kits come with free shipping.